The meaning of Town names ending in up.. Welcome to the Albany West Australia History Photo Tour . The meaning of Towns and places ending in up. Welcome to the Albany Australia History pages. Albany was founded as the first white settlement in 1826 when a Major Edmond Lockyer arrived in the Brig Amity. He noticed a fire on Michaelmas Island as he sailed in. It turned out later that four Aboriginal men had been abandoned there by American Whalers. The crew rescued them the next day, Boxing Day. Then on the 21 st of January 1827 Major Lockyer declared that Fredericks Town named after King Georges Brother Fred was part of the Kings realm. 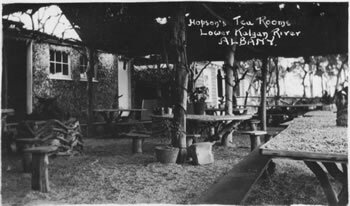 So we were not always known as Albany. Which is, despite some other claims, the first white settlement in Western Australia, of course Aboriginal people had been here for many thousands of years. The local Aboriginals were Minang Noongar and they called this area Kinjarling, which means “The place of rain”. So what’s up? Up is found at the end of many Town names such as, Dwellingup, Kojonup, or Ongerup to name just a few. Dwellingup is place of nearby water, Kojonup is place of the South West stone axe, Kadjo and the stone used to make it, Kadjor. Another less likely meaning is place of the edible bulb. But of course it could be place of both of them! Ongerup is place of the “Yonger” which is the Aboriginal word for the male Kangaroo, so Ongerup is place of the male Kangaroo. Some of the up names are lost in history As there are more than 50 towns whose name ends in up, we have made a special listing with much more detail. Just press the, “What’s up in West Australia” button. You may want to look up the meaning of names of Towns you have been to, or the ones you are going to visit. You will notice these places have water, hence the early settlers misunderstanding that up is “place of water” rather than “place of”. It is mentioned in the early explorer records or journals that the local Aboriginals did not swim or have boats. The assumption was and is that there were to many Sharks. It was also noted that they would not go much deeper than knee deep! Can’t say as I blame them. The first European explorers to visit the area around Albany were on the Dutch ship, Gulden Zeepaert, or Golden Seahorse. Francois Thijssen skippered this in 1626. George Vancover on behalf of the British explored the South coast in 1791. Naming many local places, which include, Michaelmas Island, Breaksea Island, King George the Third Sound, Princes Royal Charlotte Harbour and Oyster Harbour, to name a few. As a result of his visit Green Island, Swan Point and Point Possession were named. Matthew Flinders arrived in King George Sound in 1801, however back then it was known as King George the Third Sound. As was Princess Royal Harbour known as “The Princess Royal Charlotte Harbour, named after King Georges Favourite daughter. The Princess Royal, Charlotte Augusta Matilda. Nicholas Baudin a French explorer arrived in 1803 on board the Geographe with Louis Freycinet on the Casurania. 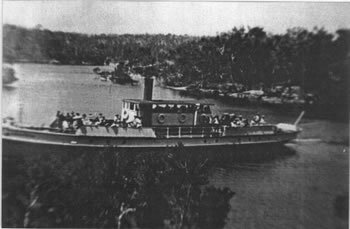 Baudin was the first man to explore the Kalgan River in a boat in fact he named it: The Riviere De Francis, a name, which lasted 30 years. Captain Kalgan arrived in Albany with Jack and Dolly Damper maker in February 1998. However you can find out this and much more on “The Kalgan Queen” or “Albany Horse Drawn Wagon Tours”. The secret ingredient is Naturally soured milk, leave the top on and leave it at room temperature until it sours, the more the better. Well found! But now that’s History. Albany from Mount Clarence, Candyup Jetty, Captain Kalgans Little Girl. Aboriginal Rock fish traps possibly 19000 years old, flooding on the Kalgan 1939. 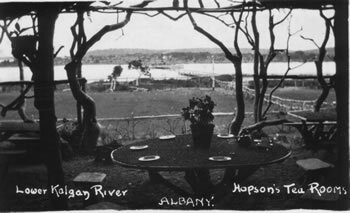 Flying fox over the Kalgan River, Hopson’s Tearooms Shellgrit tablecloth, Hopson’s Tearooms, Kalgan floods. 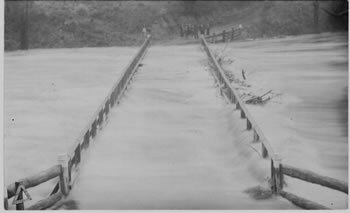 Lower Kalgan Bridge 1912, New Upper Kalgan bridge 1940. Patrick Taylors Candyup, River in Flood. Rowing on the River. Sam and Captain Kalgan. Silver Star at Elbow Island now better known as Honeymoon Island, Silver Star on the Kalgan River. 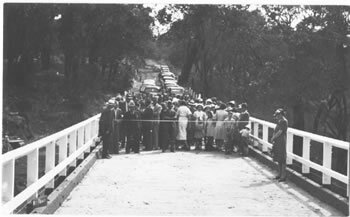 Upper Kalgan Bridge construction 1939/1940. 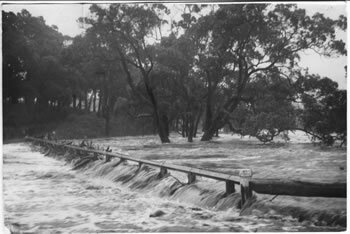 Kalgan Flooding 1939 and the Kalgan bridge opening in 1940.
ending in "UP" in Western Australia. What up means, at the end of names. What’s up in Western Australia. Up place names. Up means place of, not water. The City of Albany, located on the south coast of Western Australia , was officially named by Governor Stirling at the beginning of 1832. It is named after Frederick, the Duke of Albany and York, and the favourite son of King George III. The city is located on King George Sound , which was discovered and named "King George the Third's Sound" on 28th September 1791 , by Captain Vancouver. Albany was the site of the first settlement in WA when Major Edmund Lockier of the 57th Regiment, under instructions from the N.S.W. Govt. hoisted the British Flag on 21.1.1827 on the site of "The Residency". 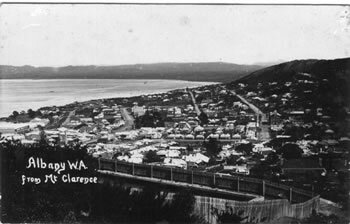 The city was more often referred to as King George Sound or King George's Sound for about the first 40 years of settlement. Portion of it was originally named "Fredrickstown" by Major Lockyer in 1827 in honour of the Duke of York and Albany, Commander in Chief of the British Army. This name disappeared about 1831 and the name Albany was retained for the whole town. A townsite between Katanning and Nyabing, this place was originally proposed as "Badjebupp", for the name of a station on the Katanning - Nampupp (Now Nyabing) Railway in 1910. The name is derived from nearby Badgebup Well, and is an Aboriginal word said to mean, "place of wild rushes". Another source gives it as "broad green leaves on a plant round soak". The Townsite was gazetted as Badjebup in, changed to "Nalabup" in 1923, changed back to "Badjebup" in 1923, and finally to Badgebup in 1972. This townsite, located near Manjimup, was originally gazetted as "Manjimupp" in 1903. The name was changed to Balbarrup in 1910 to avoid confusion with the new townsite of "Manjimupp" (later Manjimup) situated on the railway about 5km further west. Balbarrup is the Aboriginal name of a nearby brook and place first recorded by a surveyor in 1863, but the meaning of the name is not known. The townsite of Balingup is located in the south west, 241 km south of Perth and 31 km south east of Donnybrook. The townsite takes its name from Balingup Pool, located in Balingup Brook, which flows through the town. The name was first recorded by a surveyor in 1850, and is said to be derived from the name of an Aboriginal warrior, Balingan. Balingup is located on the South Western Highway , the main road south to Bridgetown and beyond. It was gazetted as a main road in 1872, and by this time there were a number of farms in the area. In the 1860s the poet Adam Lindsay Gordon was one who had a large flock of sheep here. In the mid 1890s the government planned a railway from Donnybrook to Bridgetown , and Balingup was selected as the site of one of the stations. The government also decided it would establish a townsite at Balingup, but the land at the selected site was privately owned. This land was purchased in 1896, and a scheme of subdivision promptly approved, and lots surveyed in 1897. The townsite was gazetted in 1898, the same year the railway was opened. Binningup is a south western coastal townsite located 153 km south of Perth and 27 km north of Bunbury. Binningup takes its name from "Binningup Beach Estate", a name used by a syndicate of Harvey people who subdivided the area in 1953. It is apparently an Aboriginal name, but not necessarily traditional. By 1962 there was only one resident in the area, but many homes were built in the following few years. At the request of the Shire of Harvey Binningup was gazetted a townsite in 1963. The townsite of Boyanup is located in the south west agricultural region, 195 km south of Perth and 18 km south east of Bunbury. In 1888 a railway was built between Boyanup and Bunbury, and in 1891 the government opened up land in the area by declaring the Boyanup Agricultural Area. Land was set aside for a townsite in the agricultural area, lots in the townsite surveyed in 1893, and the townsite gazetted in 1894. Boyanup is an Aboriginal name, having been first recorded by an explorer in 1852. It is also on the main road south, and is shown on a road survey in 1869 as Boyinup. It is said to mean "a place of quartz" - Boya means "rock" or "stone". The townsite of Boyup Brook is located in the great southern agricultural region, 269 km south south east of Perth and 31 km north east of Bridgetown. The Boyup Brook area was known as Upper Blackwood when in 1896 the government set land aside for a future townsite on the Blackwood River about 8 km south of the present townsite. In 1899 farmers in the area met and formed the "Upper Blackwood Progress Committee", and wrote to the government requesting the setting aside of a townsite in which to erect a school, places of worship and other public purposes. The Committee was seeking to "advance the interests of this rising and important district". The request for a townsite shrewdly proposed it be named "Throssell". It was addressed to the Minister for Lands, at that time George Throssell. The Lands Department resisted the proposal at first, as it did not consider there was enough demand for lots, but the Progress Committee persisted, and the Minister directed the Department to survey some lots. 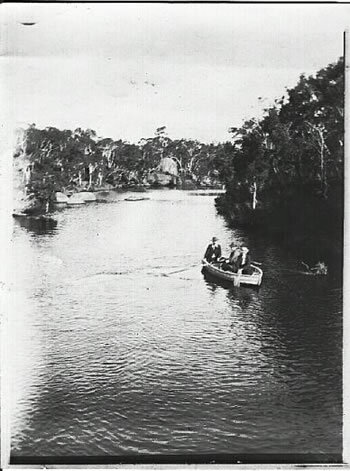 The survey was carried out in 1899 and although the name Throssell was used for a short time, Sir James Lee Steere, former resident of the area and prominent politician, suggested the Aboriginal name Boyup, by the which the area was locally known, should be used. The townsite was gazetted as Boyup in 1900, although local usage was mostly "Boyup Brook". In 1908 there was a major expansion of the townsite, and locals suggested that as there was some confusion with the similarity of Boyup and Boyanup, the townsite should be renamed Boyup Brook. The renaming was approved, and the townsite regazetted as Boyup Brook in 1909. The name is derived from the Aboriginal name of a nearby watercourse, Boyup Brook, which was first recorded as Booyup Brook in 1877. Buyu is said to mean "place of smoke", and another account states that "Booy" means "big smoke", and was named because the brook was originally surrounded by blackboys which, when set alight, sent up a cloud of black smoke. Burekup is a townsite located in the south west, east of Bunbury. In 1910 the Railways Department requested to name a new siding on the Pinjarra-Picton line as "Boorekup", stating this was "the Aboriginal name of a wildflower that grows profusely in the locality". The spelling was altered to Burekup according to the rules of orthography used by the Department of Lands & Surveys, and the name was approved by the Minister for Lands in 1910. Land in the vicinity was privately owned, the first development of the area occurring in 1914. Burekup was gazetted a townsite in 1973, following a request from the Shire of Dardanup. The townsite of Chinocup was declared as "Chinokup" in 1923, to satisfy a need for blocks of land at the station of this name on the Nyabing-Pingrup Railway (now abandoned) The station was named after nearby Lake Chinocup, and the spelling of the townsite was changed in 1962 to agree with the lake. Chinocup is an Aboriginal word of unknown meaning, which had been recorded as the name of the lake in 1879. Condingup is a townsite located in a wheat and sheep area near the south coast east of Esperance. It was declared a townsite in 1963, and takes its name from the nearby Condingup Peak . This is an Aboriginal name of unknown meaning, first recorded during surveys for the telegraph line in 1875/6. Cookernup is a town in the south west between Waroona and Harvey. A townsite was gazetted here in 1894, and derives its name from a farm established nearby by Joseph Logue in the early 1850's. Also spelt Kookernup in 1853, Logue Brook was once known as Cookernup Brook. The meaning of this Aboriginal name is given as "the place of the swamp hen"(cooki). Coolup is a town in the south west between Pinjarra and Waroona. It was gazetted a townsite in 1899, but the name has been recorded in the area since at least 1886. Coolup is an Aboriginal name possibly meaning "place of the wild turkey". (kool or koonlie are given as words for the wild turkey). Coomalbidgup is a townsite on the South Coast Highway between Esperance and Ravensthorpe. It was gazetted in 1961, and takes its name from the nearby Coomalbidgup Creek. The name is Aboriginal, and one informant states it means "Possum scratches up a tree & there is water there". The explorer George Grey in 1839 recorded "Koo-mal" as meaning Possum, "up" means place, and Bid-dee or Bid-gee means waterhole in the dialect of the Mundrabilla Tribe. Located 12kms north of Margaret River , Cowaramup derives its name from Cowaramup Siding, which was located near the townsite, on the Busselton to Augusta railway. The townsite was gazetted in 1925, and the name is believed to be derived from "Cowara", the Aboriginal name for the Purple Crowned Lorikeet. Dalyup is a townsite on the South Coast Highway east of Esperance, about 700 kilometres from Perth . 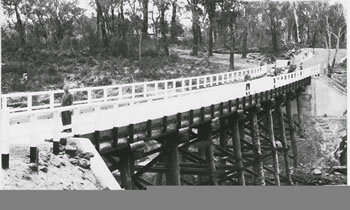 It was gazetted in 1962, and derives its name from the Dalyup River on which it is located. The name is Aboriginal, and possibly is the Noongar word for the King Parrot or Hookbill, spelt Djalyup" in some word lists. Situated about 10 km south west of Bunbury, the Dardanup area was first settled by Thomas Little around 1852. Little built a homestead named "Dardanup Park", the name believed to be a variation of the Aboriginal word "Dudingup" the meaning of which is not known. Little gave land to the Catholic Church and attracted other settlers to the area, and a small community soon developed. Land at Dardanup was privately owned and developed, but in the 1920's the government acquired and subdivided land here for closer settlement. The townsite of Dardanup was gazetted in 1923. The townsite of Dinninup, located in the south west 17 km east of Boyup Brook, derives its name from Dinninup Brook. It is an Aboriginal name of unknown meaning, and was first recorded by a surveyor in 1877. Early settlers in the area, noting that the government was planning to extend the railway from Boyup Brook to Kojonup in 1908, asked for land to be set aside for a townsite. The railway was in place by 1910and a station named Dinninup established , but the townsite was not gazetted until 1915. Dwellingup is located in a timber and fruitgrowing area in the Darling Range ESE of Pinjarra. Townsite lots were surveyed at this place by Surveyor W.F. Rudall in 1909 after the Lands Department became aware that the site was planned as the terminus of the "Pinjarra-Marrinup Railway". Names suggested for the place by Rudall were "Dwellingerup" or "Marrinup", after nearby brooks, or "McLarty" after a local MLA who had been very active concerning the railway. Surveyor General H.F. Johnston chose "Dwellingupp" after being misinformed regarding the spelling of Dwellingerup Brook. Ignoring a suggestion from the Under Secretary to amend the name to "Dwellingdown", the Minister for Lands approved the name as "Dwellingup" in December 1909. Eventually, the spelling "Dwellingupp" was chosen by order of the Under Secretary for Lands, and the townsite was gazetted as Dwellingupp in February 1910. The spelling was amended to Dwellingup in 1915. Dwellingup is an Aboriginal name said to mean "place of nearby water". The town was burnt out by a bushfire in 1961 but was rebuilt. The double p spelling in the original gazettal of this name was used because the Lands and Surveys Department had adopted a system for spelling Aboriginal names developed by the Royal Geographical Society. A number of Aboriginal names ending in "up" were for a time spelt with the "upp" ending (including Kirupp, Kulikupp, Manjimupp and Mungalupp). The RGS system had a rule that vowels are pronounced as in Italian and consonants as in English. This would have meant that names ending in "up" should have been pronounced as "oop", because the Italian "u" was a long "u", as in flute. These Aboriginal names were meant to be pronounced as "up", and the Department asked the RGS for a rule to assist in correct pronunciation. The RGS solution was that doubling the following consonant shortened the preceding vowel, and this meant the "upp" ending ensured the "up" pronunciation. However, this particular rule was rescinded in 1915 for SW towns with the suffix "up", as the Australian way of pronouncing the letter "u" was almost always short, and rarely the Italian "oo". A townsite in the Great Southern agricultural region, Gnowangerup is situated by road 61 km south east of Katanning. Growth in the area in 1904 resulted in local settlers seeking the declaration of a townsite, and land was set aside for that purpose in 1905. The name of the townsite is Aboriginal, being derived from nearby Gnowangerup Creek and Spring, both names being first recorded in 1878. The name means "place where the mallee hen (Gnow) nests". When the townsite was first gazetted in 1908 it was spelt "Ngowangerupp", this spelling being determined by the Lands and Surveys Department use of the Royal Geographical Society's "System of Orthography" for spelling native names. Local dissatisfaction with this spelling led to it being altered to Gnowangerup in 1913. Gwindinup, located between Boyanup and Donnybrook in the south west region, was gazetted a townsite in 1909. It is located on the Boyanup-Bridgetown railway which in this area was opened in 1893. A siding named "Runnymeade" was established here when in 1908 the government decided to subdivide land. The name Runnymeade had already been used elsewhere in Australia , so an alternative name was requested from the Preston Roads Board in Donnybrook. The Board nominated Gwindinup, without any explanation of the name. The Lands Department thought it may be a local spelling of the nearby Gynudup Brook, but this cannot be substantiated. Jerdacuttup is a townsite near the south coast between Ravensthorpe and Esperance. It was gazetted in 1966, and was developed following the governments opening up of land for agricultural purposes in this area in the 1960s. Jerdacuttup derives its name from the Jerdacuttup River located about 16 km to the west. This Aboriginal name was first recorded with this spelling by surveyor C D Price in 1875/76, although he also uses the spelling Jerdacat and Verdicat, and the explorer John Forrest (later Premier of Western Australia) recorded Jerticutup in 1870. The townsite of Jerramungup is located in the great southern agricultural region, 454 km south east of Perth . It was gazetted in 1957, at a time when the Government was active in opening up land in the area for agricultural. Jerramungup is an Aboriginal word said to mean "place of upstanding yate trees". The Yate tree is a variety of Eucalypt tree which is evergreen and grows to a height of 20m and a width of 4m. It has orange bud caps and greenish yellow flowers, and is common in the south west of WA. The name was first recorded by Surveyor General J S Roe in 1847, when carrying out exploration of the area. In his journal Roe stated "On passing over the first ridge on the following morning we were gladdened by the view of a large extent of good grassy country to the NE lightly timbered and at this time well watered by a river and its numerous branches known to the natives as Jeer-A-Mung-Up". Roe later named the same river near its mouth the Gairdner River , not realising they were the same, and this is the name now used for the river. Jingalup is a townsite in the great southern agricultural region, just to the south west of Kojonup. The local farming community first requested a townsite to be declared here in 1918, the place being proposed to be named Mybrup. By 1922 a recreation ground and hall had been built, and the hall used as a school. The community were by then calling the place Jingalup, and this was the name used when the townsite was gazetted in 1924. The name Jingalup is an Aboriginal word, and appears to be a contraction of nearby Kodjingalup Well, first recorded by surveyor Gregory in 1846. The townsite of Kalgan is located in the south coastal region, about 21 km north east of Albany . It was gazetted a townsite in 1912 following the opening up of land in the area, but land had been put aside for a townsite here in 1837. The place was named "Wyndham" on an 1839 map of the area, but there was no subdivision or land made available in the townsite. It is recorded that it was to be the site of a farming community for the Society of Friends (Quakers), but there is no evidence that any Quakers ever settled in the area. As there was already a Wyndham in the Kimberley when the town was gazetted in 1912, the name Kalgan was chosen for the townsite. 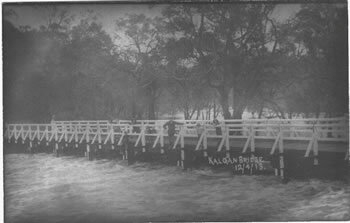 Kalgan is the Aboriginal name of the river on which the townsite is situated, the name being first recorded by the explorer Dr A Collie as "Kalgan-up" in 1831. It is said to mean "place of many waters". The river had earlier been referred to as the " French River ", since the French explored it in 1803. The townsite of Kebaringup is located about 20 km south east of Gnowangerup in the great southern agricultural region. When the government was planning the railway from Tambellup to Ongerup in 1911 it was decided to establish a siding here, and the name nominated was "Arnott" after a local resident. The line opened in 1913 with this name, but the locals soon petitioned the government for a name change, suggesting Kebaringup. The name was changed later the same year. The government surveyed a number of small blocks at the siding in 1913, and set aside an area for a townsite. The townsite was gazetted in 1918. Kebaringup is a local Aboriginal name, being first recorded by a surveyor for a nearby well in 1887. The meaning of the name is not known. The locality of Kendenup is located in the great southern agricultural region, 345 km south east of Perth and 22 km north of Mount Barker. Kendenup is one of the original stations on the Great Southern Railway, and is included in a Timetable of June 1889. It derives its name from "Kendenup", the homestead of the Hassell family built here in 1839. The property was one of the best known in colonial Western Australia . 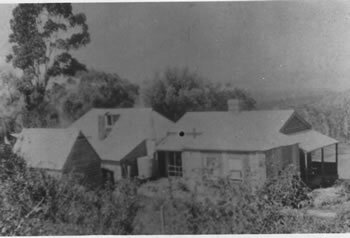 The Kendenup property had earlier been taken up by George Cheyne, and was purchased by John Hassell in 1839. The name is of Aboriginal origin, of unknown meaning. The town of Kirup is located 228 km from Perth , on the South Western Highway between Donnybrook and Bridgetown . It was originally a siding named Upper Capel on the Donnybrook-Bridgetown railway when it opened in 1898. As the siding was in a heavily forested area, G Baxter soon erected a sawmill there, and in 1900 the government took action to subdivide land in the area. In 1901 when it was decided to declare a townsite here a name was sought. The name "Kirup" is recorded in official papers on the townsite, but no source or meaning is given for the name. When it was gazetted in 1901 the spelling used was Kirupp, the double "p" indicating that the preceding vowel should be shortened. This was later seen as not relevant, and the spelling was amended to Kirup in 1931. The name is Aboriginal, possibly stemming from "kura" and meaning "the place of summer flies". The townsite of Kojonup is located 256 km south east of Perth , on the Albany Highway between Williams and Mount Barker . 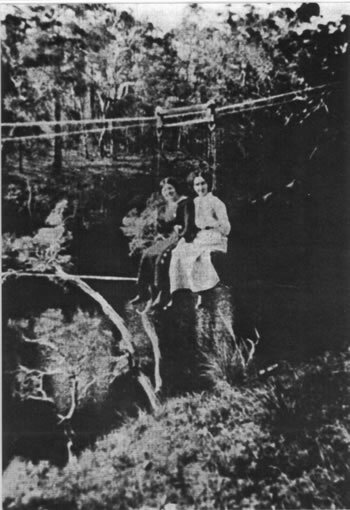 The site for the townsite was selected by surveyor Alfred Hillman in 1840, who three years earlier in February 1837 had discovered "Kojonup Spring" at this place. Kojonup was an important staging place on the road to Albany , and in 1837 a military post was established here, and the townsite has been occupied since that date. The meaning of this Aboriginal name is said to be "place of the South-West stone axe (kadjo) and the stone used to make it (kadjor)." Another less likely meaning is "place of the edible bulb". Latitude 34° 16' S Longitude 115° 07' E.
The townsite of Kudardup is located in the south west, about 8 km north north east of Augusta on the Bussell Highway. It was only gazetted a townsite in 1957, but is in fact over 100 years old. Koodardup was originally located in tall karri forest, and in 1883 M C Davies built a timber mill here that was named Coodardup Mill. The nearby caves were also recorded as Coodardup Caves from around this time. The mill moved to Karridale in 1884, and the name was rarely used again until 1925, when a siding on the railway from Busselton to Flinders Bay was opened here and named Coodardup. The spelling was changed to Kudardup a year later, this spelling being regarded as a more correct interpretation of this Aboriginal name. The railway line closed in 1960, and soon after the name was applied to the townsite. Latitude : 33° 50' S Longitude 116° 41' E.
The townsite of Kulikup is located in the south west 27 km east of Boyup Brook. When the government built the railway from Boyup Brook to Kojonup in 1910 a siding was established here and named "Culicup". The Upper Blackwood Road Board considered it a suitable site for a townsite, and requested the declaration of one in 1911. When the townsite was gazetted in 1912, the spelling adopted was "Kulikupp", because of an orthography used in the Lands and Surveys Department for spelling Aboriginal names. It was not amended to Kulikup until 1965. Kulikup derives its name from a nearby pool, first recorded by a surveyor as "Culicup Pool" in 1892. The meaning of the name is not known. Latitude 33° 41' S Longitude 120° 11' E.
The townsite of Kundip is located in the south coastal agricultural region, between the towns of Ravensthorpe and Hopetoun. In 1899 gold and copper was discovered in this area, and the government decided to set aside land for a townsite. The name "Harbour View", after one of the mines here had some local use, but Surveyor A W Canning proposed the name "Coondip" for it, and a reserve was set aside for the townsite of "Coondip" in June 1901. When it was gazetted as a townsite in 1902 the Lands Department changed the spelling to "Kundip" to conform the orthography the Department had adopted. In 1978 it was noted that Kundip no longer existed, the last buildings being shifted away in 1950 and all that remained was a heap of bricks from the old baker's oven. The meaning of the name is not known. Latitude 33° 37' S Longitude 117° 59' E.
Kwobrup is a townsite in the great southern agricultural region, about 340 km south east of Perth between the towns of Katanning and Nyabing. Like many wheatbelt towns, Kwobrup was first established as a railway siding on the Katanning to Nampup railway opened in 1912. The siding was named Yellanup when the line was opened, but there was concern that the name was too like Yallingup, and there was soon pressure for a name change. The district surveyor suggested "Wollakup" as an alternative, but this was regarded as too similar to Wokalup. He then suggested "Kwobrup", the Aboriginal name of a nearby swamp first recorded in 1905. This name was also recorded as Quaberup in 1876. A possible meaning of the name is "good place". The townsite of Lower King is located in the south coastal region, about 8 km north east of Albany. It was gazetted a townsite in 1959, although the area was settled as early as the 1830s. The towsite is on the lower reaches of the King River , hence the name. 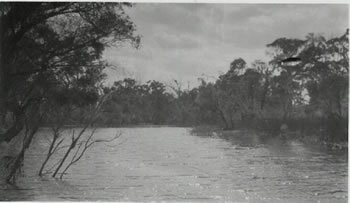 The King River is named after Captain Philip Parker King RN, who was in command of the "Mermaid" which called in here in January 1818 during a hydrographic survey of portions of the Australian coast. The townsite of Manjimup is located in the south west, 304 km south of Perth. Manjimup is an Aboriginal name said to be derived from "Manjin", a broad leafed marsh flag with an edible root valued as an article of diet by Aborigines. These plants apparently grew prolifically below a spring in the area. The earliest white settlers in this region were Charles Rose and Frank Hall in 1859. Hall's property passed to J. Mottram who named his homestead "Manjimup House" in the 1860s. Also, in 1863 a local brook was recorded by surveyor T. Treen as Manjimup Brook. By the late 1890s demand for quality agricultural land in Western Australia focused attention on the heavily forested areas near Manjimup. 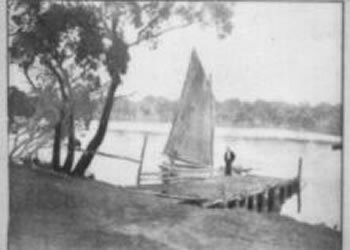 A report by surveyor Terry in 1898 identified good land on the Wilgarup River , and an Agricultural Area was declared. There was also some demand for small lots, and in 1902 lots were surveyed near Balbarrup and it was decided to declare a townsite. The Nelson Roads Board nominated Manjimup as a name, and the townsite of Manjimupp was gazetted in 1903. The double "P" spelling was used because the Lands Department had adopted spelling rules for Aboriginal names where doubling a consonant shortened the following vowel (otherwise the pronunciation could have been Manjimoop). In 1909 the government decided to extend the railway from Bridgetown to Wilgarup. The terminus of the line was to be close to the original Manjimup homestead, which is about 5 km west of the 1903 townsite. The proposed station was named Manjimup, and a subdivision was recommended at the site. The new townsite was named Manjimupp, and gazettal took place in 1910. The original Manjimupp was renamed to Balbarrup the same year. The locally accepted spelling however was Manjimup, and the double "P" was officially changed in 1915.The railway line was opened for traffic in 1911. The townsite of Marbelup is situated near the south coast, about 15 km west of Albany. The W A Land Company, who built the Great Southern Railway in the period 1886-1889, established a station named Marbellup here when the line was opened in 1889. The Company surveyed a small subdivision, but very little land had been sold when the government purchased the railway in 1896. Land was reserved for a townsite of Marbelup in 1899, and it was officially gazetted as a townsite in August 1900. Only one lot was ever sold, and the townsite is now a nature reserve. Marbelup is an Aboriginal name, first recorded in 1868 as Marblup, and then as Marbellup Creek and Marbelup Brook in 1888-1890. The meaning of the word is not known. The townsite of Moodiarrup is located in the great southern agricultural region, 236 km south east of Perth and 35 km south of Darkan. The townsite was gazetted in 1909, spelt Mudiarrup, to conform with the Royal Geographical Society's system of orthography. In 1956 residents of the area requested the spelling be amended to Moodiarrup, a spelling more appropriate to the correct pronunciation. The change of spelling was gazetted in 1957. Moodiarrup is an Aboriginal word, first recorded by a surveyor in 1871. The meaning of the name is not known. The townsite of Mullalyup is located in a fruit growing area in the south west agricultural region, 231 km south of Perth and 10 km north west of Balingup. Mullalyup was one of the original stations on the Donnybrook to Bridgetown Railway when it opened in 1898, the name being derived from nearby Mullalyup Brook. The name is Aboriginal, and was first recorded by surveyor John Forrest in 1866. It is said to mean " the place where the young men had their noses pierced". In 1898 the District Surveyor recommended land here be subdivided and a townsite declared. Land was set aside later that year, and following the survey of lots in 1900, the townsite of Mullalyup was gazetted in 1901. The townsite of Mungalup is located in the south west agricultural region about 10 km south west of Collie and 212 km from Perth. It is situated within state forest, and within a large reserve known as the "Timber Hewers Concession" when in 1905 one of the sleeper cutters operating in the area enquired about land being available to settle. At that time there were 40 or 50 timber and hessian huts of timber cutters scattered through the area, and tram line from Collie to the area. Lots were surveyed in 1906 and when a name for proposed townsite was requested the surveyor advised he did not know of a local Aboriginal name, and suggested the locally used names Lucknow, or Hearnshawville after an ex local Member of Parliament. Neither name was considered suitable, and Mungalupp suggested as an alternative. The source of this name is not known. Mungalupp townsite was gazetted in 1906, and the spelling was officially changed from Mungalupp to Mungalup in 1925. The townsite of Munglinup is located in the south coastal region, 622 km south east of Perth between Ravensthorpe and Esperance. When the district was being opened up for farming in the late 1950s/early 1960s the local community sought the declaration of a townsite between Esperance and Ravensthorpe. The survey of lots was carried out in 1961, and the townsite gazetted in 1962. Munglinup is a local Aboriginal word, first shown on plans in 1868, and was believed to have been recorded by the Dempster Brothers who were the first settlers in the area. Muradup is a townsite in the great southern agricultural region, 266 km south east of Perth and 10 km west of Kojonup. Land was reserved here for a townsite in 1899, and in 1905 the Shire of Kojonup requested lots be surveyed and made available for sale. The lots were surveyed in 1906, and in 1907 the reserve was gazetted as the townsite of Muradupp. Although named after nearby Mooradup Pool, an Aboriginal name first recorded by a surveyor in 1846, the spelling was amended to conform with rules adopted by the Lands Department. In 1915 the department decided the double "P" at the end of names was superfluous, and the name was amended to Muradup. The townsite of Myalup is located on the coast 149 km south of Perth and 31 km north of Bunbury. The townsite was gazetted in 1972 following demand for beachside blocks in this area. Myalup is an Aboriginal name derived from a nearby swamp. The name was first recorded by Lt. Bunbury in 1836 as Miellup, and then in 1849 by a surveyor as Myerlup. The townsite of Nannup is located in the south west agricultural region, 282 km south of Perth and 44 km west of Bridgetown. 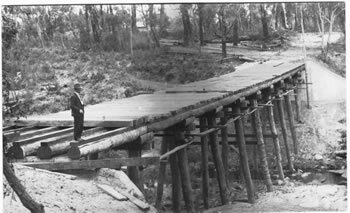 Nannup is located on the Blackwood River , and in the late 1860s a bridge was built over the river and a police station established here. 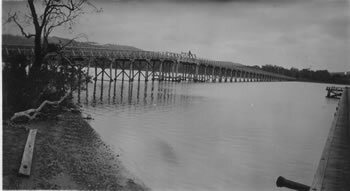 The area was referred to as Lower Blackwood Bridge . In 1885 Mr George Layman, the Member of Parliament for the district, requested that land be reserved at Lower Blackwood Bridge for a township. Land was set aside for this purpose, but it was 1889 before local settlers asked for blocks to be surveyed there. John Forrest, the Commissioner for Crown Lands promptly had the blocks surveyed, and proposed that the new townsite should be named Nannup, as it was "the only native name near". The name was approved by the Governor, and the townsite gazetted in January 1890. 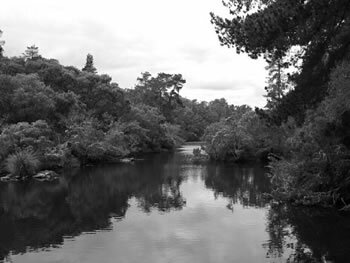 The name Nannup is derived from Nannup Brook, a stream which flows north westerly into the Blackwood River just south of Nannup. It has been shown on maps since first recorded by surveyors in the 1860s. It is of Aboriginal origin, one source giving the meaning as "stopping place", and another as "place of parrots". Narrikup is a townsite in the great southern agricultural region, 377 km south east of Perth and 18 km south east of Mount Barker. It is located on the Great Southern Railway, and when the line opened in 1889 a siding at this place was named Hay River . A reserve for a townsite was set aside here in 1891, and in 1905 the regional surveyor for the area reported that several settlers in the area were interested in acquiring land at the siding. 20 lots were surveyed, and when a townsite was gazetted two years later in 1907 it was named Narrikup, after a nearby brook. The name is Aboriginal, the derivation of which is possibly from "narrik" meaning abundance or plenty - perhaps "place of abundance". Needilup is located in the great southern agricultural region, about 440 km south west of Perth and 32 km east of Ongerup. In 1951 the local Member of Parliament requested the Lands Department to declare a townsite at Needilup, as the growth of settlement in the area had produced a demand for town lots. 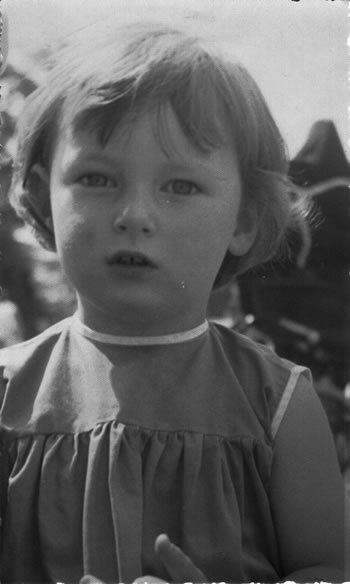 Following the survey of lots the townsite was gazetted in 1954. Needilup derives its name from the nearby Needilup River . The name is Aboriginal, and was first recorded by surveyors in the area in 1901. The spelling of the river has been variously Needalup, Needleup Needelup and Needilup, with the latter being officially adopted in 1952. The meaning of the name is not known. The townsite of Noggerup is located in the south west, 231 km from Perth and 30 km from Collie. When the Preston Valley railway was being planned in 1907, a request was made for land to be reserved at the proposed terminus near Sexton & Drysdale's Mill. The position was not fixed until 1908, and a townsite was then designed and surveyed. When asked to suggest a name for the townsite the surveyor suggested "Nogerup" after the name of the gully on which it was situated. The Department of Lands & Surveys amended the spelling to "Noggerupp" in accordance with spelling rules adopted by the Department, and the townsite was gazetted with this spelling in 1909. It was amended to Noggerup in 1915 when the Department decided that the double p ending was not required for Aboriginal names. The meaning of Noggerup is not known. The townsite of Ongerup is located in the great southern agricultural region, 410 km south east of Perth and 54 km east of Gnowangerup. Following a request by the Ongerup Progress Association the townsite of Ongerup was gazetted in 1912. The name is taken from Ongerup Rock, 10km to the north west , and which has been shown on maps of the area since 1879. The name is derived from the aboriginal word "yonger", meaning the male kangaroo, and means "place of the male kangaroo". Pingrup is a townsite in the great southern agricultural region, 359 km south east of Perth and 40 km east of Nyabing. In 1923 the railway line was extended easterly from Nyabing to Pingrup,and the district surveyor had land surveyed for a townsite at the railway terminus. When the name of the railway station was being decided the railways department thought Pingrup was too similar to Tingerup,and suggested "Geina" a name used for the area around 1900. This name was not acceptable to local settlers who proposed Lake Pingrup as an alternative. However, the Lands Department decided that Pingrup was a more desirable name, and not that similar to Tingerup. The townsite of Pingerupwas gazetted in 1924. It is named after nearby Lake Pingrup , an Aboriginal name first shown on maps of the area around 1873. The meaning of the name is not known. The townsite of Pootenup is located in the great southern agricultural region, 332 km south south east of Perth and 10 km from Cranbrook. Pootenup is one of the original stations on the Great Southern Railway, being in use from when the line opened in 1889. In 1907 the government decided there was enough demand for land in the area to warrant declaring a townsite, and following the survey of lots the townsite of Pootenup was gazetted in 1908. Pootenup is an Aboriginal place name, first recorded by a surveyor in 1851. The meaning of the name is not known. The townsite of Qualeup is located in the great southern agricultural region, 291 km south south east of Perth and 35 km west of Kojonup. It is located on the railway line from Boyup Brook to Kojonup, and was one of the original sidings when the line opened in 1912. Land was also set aside here in 1910 for a future townsite, and by 1921 there was enough interest in the area for the government to consider a scheme of subdivision. Lots were surveyed in 1924, and the townsite of Qualeup gazetted in October 1924. 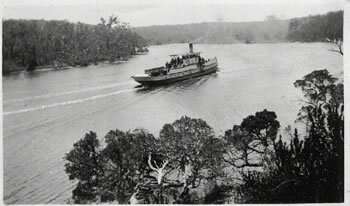 The name of Qualeup is derived from nearby Lake Qualeup , an Aboriginal name the Aboriginal name of a nearby lake first recorded by a surveyor in 1907. The name was spelt Qualeupp on some early plans. The townsite of Quigup is located in the south west forest region, 289 km south of Perth and 7 km west north west of Nannup. Lots at Quigup were surveyed in 1909, to provide for employees of Bartman & Son's new sawmill in the area, and it was proposed to name the town St Johns Brook after a nearby stream. As this name had been used elsewhere in Australia it was not suitable, and the Greenbushes Road Board proposed the name Quigupp as an alternative. The townsite was gazetted as Quigup in January 1911. Quigup is an Aboriginal name, the meaning of which is not known. The townsite of Quindalup is located on Geographe Bay, 250 km west south west of Perth and 21 km west of Busselton. The Quindalup area is the site of one of the state's earliest timber industries, and a timber mill was built here and timber exported through a jetty on the coast in the early 1860's. McGibbon and Yelverton used the name Quindalup in referring to their mill in the 1860's, and in the 1870's the government reserved land here. In 1899 a number of local fishermen in the area requested the Minister for Lands to subdivide the beachfront land. The Minister approved the subdivision, surveys of "working mens blocks" were made, and the townsite of Quindalup gazetted in 1899. Quindalup is an Aboriginal name meaning "the place of quenda's". The Quenda is a small bandicoot common in the area. The townsite of Tambellup is located in the Great Southern Agricultural region, 317 km south east of Perth and 23 km south of Broomehill. The area around Tambellup was first settled by pastoralists in the late 1840's, and in 1849 the Surveyor General, John Septimus Roe, when passing through the area, referred to Morrison's south west station at "Tambul-yillup". The area was later settled by the Norrish family, and the spelling commonly used for the place then was "Tambellelup". When the Great Southern Railway was opened in 1889 a station was established at Tambellup, and it appears that the shortened version of the name was created by the railway, as the timetable in 1889 uses the Tambellup spelling. Tambellup was gazetted a townsite in 1899. The meaning of this Aboriginal name is not known, although one source gives it as "place of thunder"(from Toombellanup). The townsite of Wagerup is located in the south west agricultural region, 124 km south of Perth and 12 km south of Waroona. It was gazetted a townsite in 1899, taking its name from the railway station of the same name and nearby Wagerup Brook. The brook was first spelt Waigeerup by a surveyor in 1853 and the same spelling was used when the railway station opened in 1896. However, by 1899 it was spelt Wagerup. A local story has it that the man who originally painted the sign on the railway platform misspelt the name as Wagerup, and this spelling has been in use ever since. Wagerup is an Aboriginal name said to mean "Place of Emus" (Waitch). digging or fighting stick" or it may be related to Peppermint Trees common in the area. The townsite of Yunderup is located on the islands in the delta at the mouth of the Murray River, 94 km south of Perth and 12 km west north west of Pinjarra. There are eight separate islands in the townsite, although not all have townsite lots on them. A scheme of subdivision was proposed and surveys carried out in 1897. The original names suggested for the townsite were "Isleworth" (after an island in the Thames ), "The Delta" and " Venice ". Later the names "Murray" (after the river) and "Yoondooroop" (after one of the islands comprising the townsite) were suggested. Approval was given for the use of the Aboriginal, name and Surveyor General H.F. Johnston recommended that it be spelt "Yundurup" to conform with spelling rules for Aboriginal names adopted by the government. The townsite was gazetted as "Yundurup" in 1898, but over the years common usage converted the pronunciation to "Yunderup", with the "u's" pronounced as in "cup", and this spelling was adopted in 1973. SO NOW YOU KNOW WHATS UP!